Our Businesses | ALLETE, Inc.
ALLETE's headquarters building is at Lake Avenue and Superior Street in Duluth, Minnesota, the largest city in Minnesota Power's service area and the home of Lake Superior's largest port. ALLETE (NYSE: ALE) is well-positioned as a reliable provider of competitively-priced energy in the upper Midwest, and invests in transmission infrastructure and other energy-centric businesses. ALLETE’s Minnesota Power electric utility serves 145,000 residents, 16 municipalities and some of the nation’s largest industrial customers. 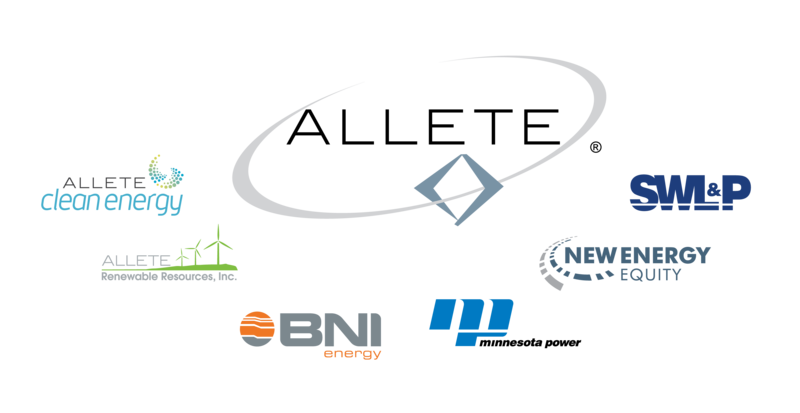 Other businesses include BNI Energy in North Dakota; ALLETE Clean Energy, a developer of energy projects with limited environmental impact; Superior Water, Light and Power in Superior, Wisconsin; ALLETE Renewable Resources, which operates and maintains wind generation facilities in North Dakota; and ALLETE Properties, which owns real estate in Florida. ALLETE will be a leader in clean, safe, efficient and affordable energy products and services that fuel modern necessities and enrich quality of life. We are committed to providing exceptional customer value and superior shareholder returns. Through wise investments and strong partnerships, we will grow while answering the call to transform the nation's energy landscape. 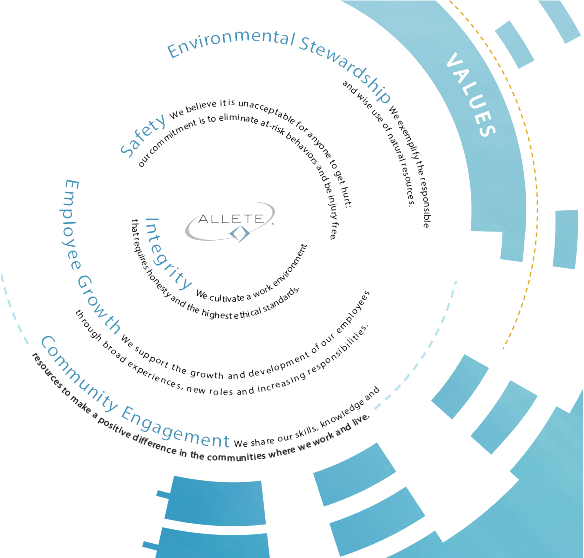 ALLETE and its employees expect and embrace lifelong learning, creativity, diversity of perspectives, personal accountability and continuous improvement in all that we do. Our culture nourishes excellence through our shared values, which are lived every day. What's essential for ALLETE to succeed? ALLETE Clean Energy specializes in developing, acquiring and managing clean and renewable energy projects. We seek opportunities to develop or acquire mid-size capital projects for electric utilities, cooperatives, municipalities, independent power marketers and large end-users across North America. We're open to all types of business relationships including joint ventures and projects fully owned by ALLETE Clean Energy or our customers. ALLETE is the corporate parent of BNI Energy, which owns and operates BNI Coal, LTD., a lignite mine near Center, North Dakota. Two electric generating cooperatives, Minnkota Power and Square Butte, which operate the Milton R. Young Generating Station, consume virtually all of the coal produced by BNI Energy under long-term agreements. Minnesota Power, first incorporated in 1906, serves electricity to 144,000 residents, 16 municipal systems and some of the nation's largest industrial customers across a 26,000 square mile service territory in, northern Minnesota. Superior Water, Light & Power, a wholly owned subsidiary of ALLETE, sells electricity, water and natural gas in and around Superior, Wisconsin, which is across the St. Louis River from Duluth, Minnesota.